The US TCW Emerging Markets Income Fund has increased its investments to Russia by 6% in 2012 to $1.1 billion. By the end of January 2012 $302 million or 9.9% of the fund’s $300bln assets under management was in the Russian market. Nearly the same amount $307 million of the fund’s assets were in Mexico. Brazil with $303 million is among the top three. Last January the figures have climbed, taking Russia to first place with a total of 16% or $1.1 billion of the fund invested in Russia. Brazil comes next with $1 billion or 15.8% and Mexico encloses the top three with $786 million or 11.5%. Over the past year TCW Emerging Markets Income Fund sold its stake in Russian diamond company Alrosa, one of the largest iron ore and HBI producers and suppliers Metalloinvest and VimpelCom telecommunications company, and invested in, Gazprom, Gazprom Neft, Gazprombank, Home Credit bank, Nomos-Bank, Russky Standart Bank and Sibur gas processing and petrochemicals company. 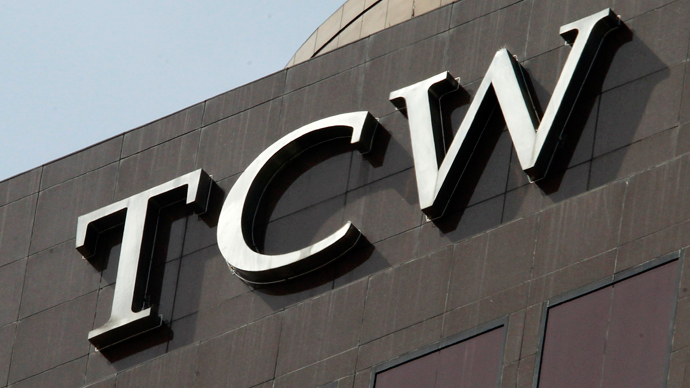 TCW Emerging Markets Income Fund says it invests over 80% of its net assets in debt securities, issued or guaranteed by companies, financial institutions and government agencies in emerging markets. “Investors are confident in the Russian rouble against the growing oil prices,” Mikhail Belyavsky, a bond trader at UBS Russia says commenting on the foreign funds’ interest in Russia, Vedomosti daily reports. “The yield of securities, denominated in roubles, are now higher than in us dollars or euro,” he added. “The rouble is stable now and it pays to keep money in Russia. Many do just that,” Andrey Gritsenko, general director of Kapital Asset Management agrees as quoted by Vedomosti. The US fund is not the first to actively invest in Russian bonds. The Government Pension Fund of Norway has $2.97 billion in Russian government debt securities. The figure has grown 16 fold since the end of 2011, the Fund’s annual report stated.